A Kentucky hospital that was once the last stop for thousands of people sickened by tuberculosis is now a popular haunt among ghost hunters and paranormal enthusiasts who say some of the former patients still lurk behind creaky doors and in lonely patient rooms. 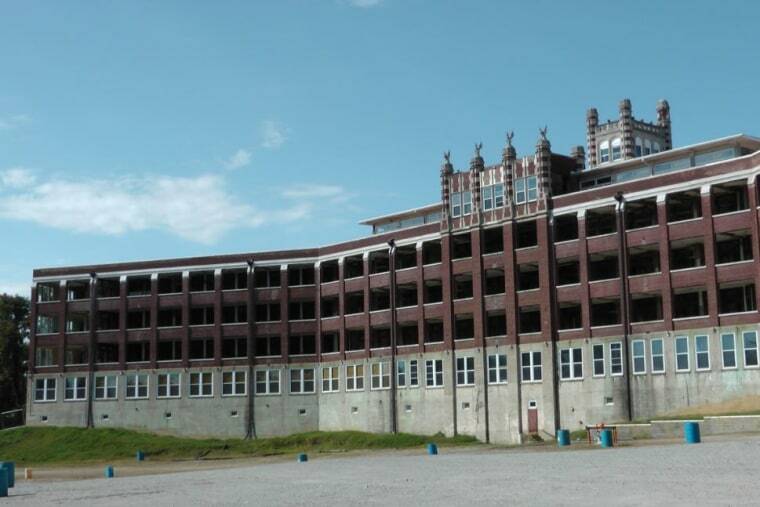 The public can tour the Waverly Hills Sanatorium in Louisville, including the underground tunnel where the dead were once hauled away, their bodies often rejected by relatives terrified of contracting the disease. "When you have that kind of death, you can't help but to think there might be a spirit lingering around that just isn't happy," said Charlie Mattingly, who owns the building. Waverly Hills is listed alongside other vacant institutional buildings — like the Eastern State Penitentiary in Philadelphia and West Virginia's Trans-Allegheny Lunatic Asylum — that have become a popular destination for ghost hunters, thanks to a chilling real-life history. The site also has been featured on several ghost and Halloween-themed television shows. "It's almost an everyday occurrence here when we have the overnighters come in, they all claim they see apparitions, ghosts, shadow movements, things like that," Mattingly said. Mattingly, whose father worked at Waverly Hills, said he has records showing thousands died at the hospital before it was closed as a TB facility in 1961 after the development of antibiotics that could treat the disease. The hospital was one of many built in the early part of the 20th century for patients of tuberculosis, who were highly contagious and needed to be isolated from the general public. Mattingly and others who now operate tours at the site said Waverly Hills has a few popular ghost legends that generate the most inquiries from visitors. They include the stories of a nurse who committed suicide on one of the upper floors; an angry, unwelcoming older male; and the spirit of a small child nicknamed Timmy, who plays with balls that are placed around the hospital. Mike Flickner, a guide and paranormal investigator at Waverly Hills, said he has been convinced for years the place is filled with spirits of the dead. "I've locked doors before and watched them unlock themselves and open up. I've seen a tub of concrete slide by itself," Flickner said. Flickner and Mattingly acknowledge that some of the so-called sightings by visitors could be a case of the imagination playing tricks in a spooky place. During a recent tour of the grounds that included the underground tunnel known as "the body chute," Flickner explained that the infamous passage was used to wheel dead patients away at night so the living residents would not see them. "The doctors felt that, with the amount of death that was happening here at Waverly Hills, more patients were probably dying from a lack of hope rather than TB itself, so they had to come up with a discreet way to dispose of the bodies," he said. The tunnel, pitch dark even on the sunniest day, doesn't require an accompanying ghost story to elicit chills. The knowledge that it was once a passage for people who suffered and died during a long-gone epidemic make the long, concrete walls unwelcoming all on their own. Mattingly has big plans for the building he bought in 2001, but a dream of turning it into a hotel and conference center is on hold for now. He said he would need to raise several million dollars and tax breaks to get the construction going. The old building continues to draw ghost-hunters and the curious for tours that can range from two hours to an overnight stay that costs $100. Mattingly said back when he bought it, he dismissed the idea of ghosts roaming the halls of the hospital. But now, "when you're around it and you actually see this stuff, and people can't explain it — I mean, there's some things we can explain but many we can't — you start to wonder, Is there something about a spirit that stays around?" he said. "It could be true."